Cardinal Désiré-Joseph Mercier, Archbishop of Malines, was the incarnation of the Belgian resistance against the German occupation during the First World War. With his famous pastoral letter of Christmas 1914 ‘Patriotisme et Endurance’ he reached a wide audience, and gained international influence and respect. Mercier’s distinct patriotic stance clearly determined his views of national politics, especially of the 'Flemish question', and his conflict with the German occupier made him a hero of the Allies. The Germans did not always know how to handle this influential man of the Church. Pope Benedict XV did not always approve of the course of action adopted by the Belgian prelate. Whereas Mercier justified the war effort as a just cause in view of the restoration of Belgium's independence, the Pope feared that "this useless massacre" meant nothing but the "suicide of civilized Europe”. 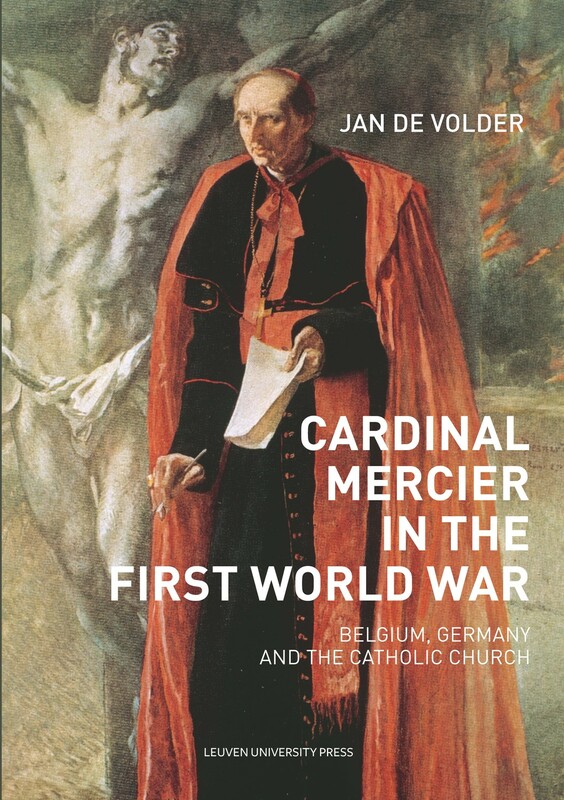 Through a critical analysis of the policies of Cardinal Mercier and Pope Benedict XV, this book sheds revealing light on the contrasting positions of Church leaders in the face of the Great War. Towards a public papal condemnation? Towards a compromise peace in 1916? Towards a solution for the Roman question? Jan De Volder is a Belgian historian. Currently, he occupies the Cusanus Chair ‘Religion, Conflict and Peace’ of the Faculty of Theology and Religious Studies of the University of Louvain (KU Leuven). He has a special interest in church and religion during World Wars I and II. Historicus Jan De Volder publiceerde een geactualiseerde versie van zijn studie over de rol van kardinaal Désiré-Joseph Mercier (1851-1926) in de Eerste Wereldoorlog. Het boek vervolledigt ons beeld van een nu wat vergeten, destijds wereldberoemde kerkvorst, op de grens tussen politiek en religie, tussen oorlog en vrede.